Eudocimus albus (American White Ibis). 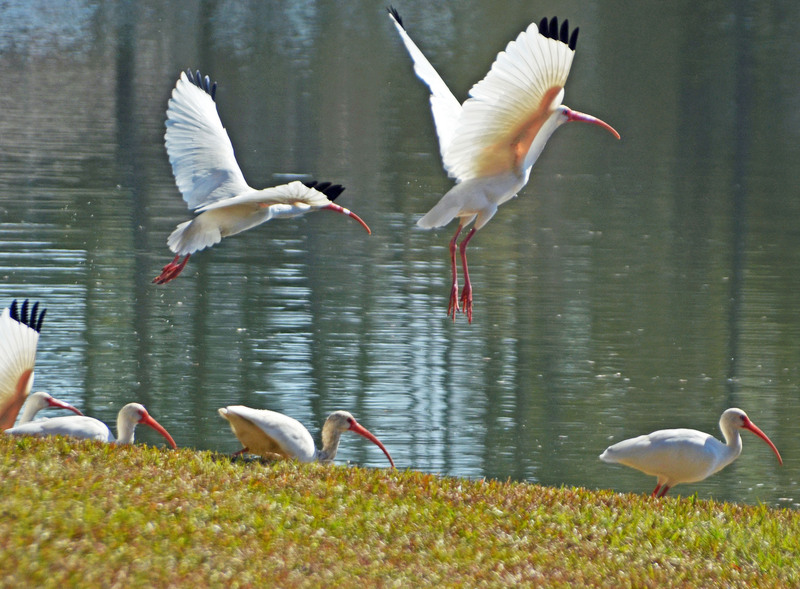 Today a group of about a dozen white ibis visited us. I also saw at least one darker juvenile bird. Wikipedia states that according to Native American folklore "the bird was the last to seek shelter before a hurricane, and the first to emerge afterwards. The bird was thus a symbol for danger and optimism." 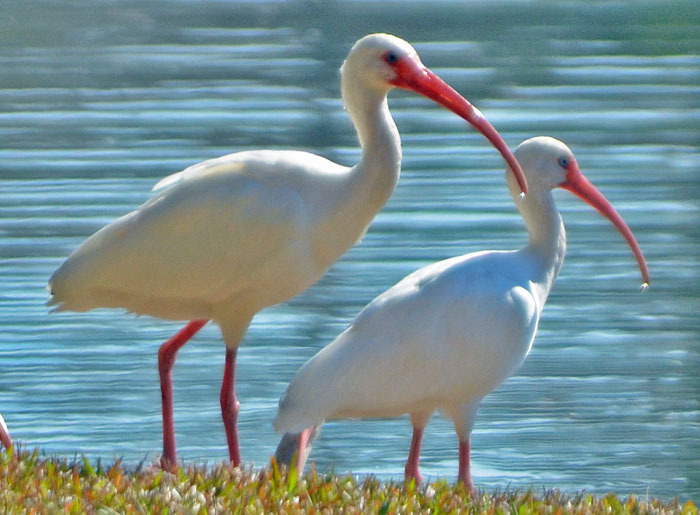 These photos were taken with a Sigma 28-300 mm zoom lens. Click here for a high resolution of the left photo.